Fantastic opportunity to enjoy an amazing lifestyle and a successful turnkey business for a family or joint venture couple on 33 acres and 2000 ft of water frontage. 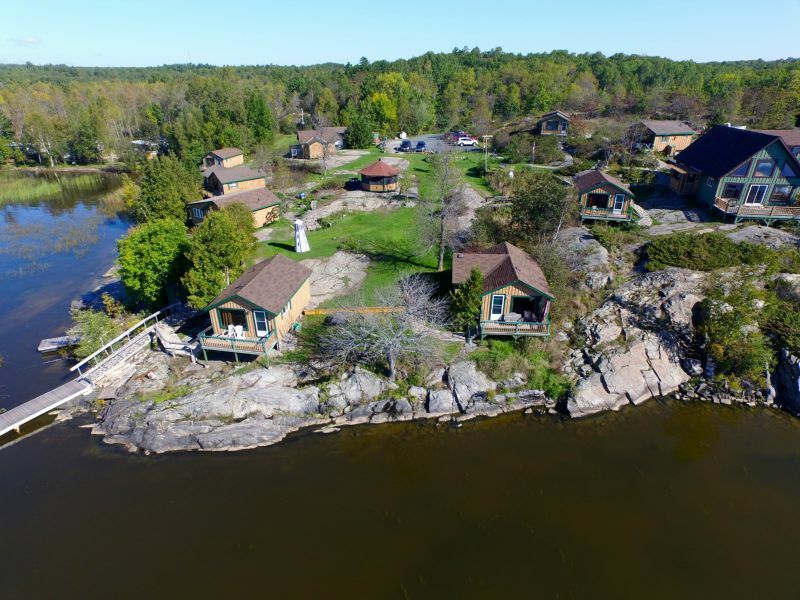 Quality fishing Resort with 9 fully functional cabins all with full cooking facilities and washrooms, lodge/restaurant also features fully operational Kitchen, dining area and an upper rental studio/1 bedroom with full bath- great for staff or rental. Also on site is a full service dock, boats and motors, 3 yr round residences and 36 serviced RV sites. Being the only outfitter on the channel with the majority of lands and islands uninhabited making for peace and quiet and awesome fishing opportunities. Boasting near 90% occupancy with a solid repeat clientelle. Located on the Shores of Lake Erie Near Lowbanks & Dunneville Area. 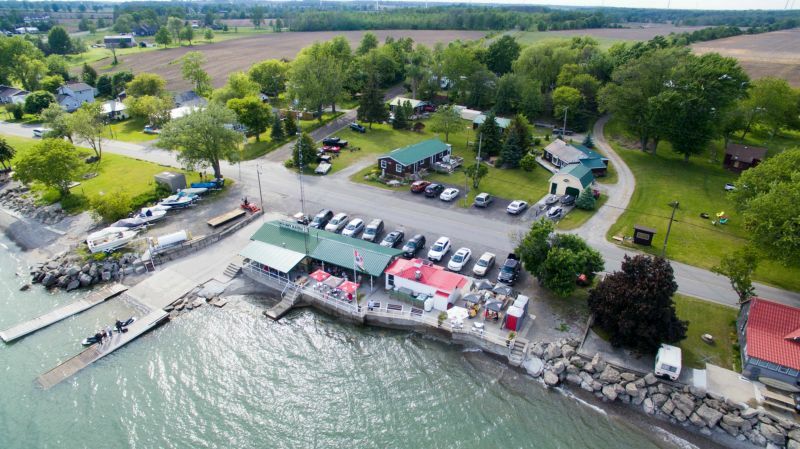 Diversified sources of Income with Conv/Bait/Tackle and Post office, Open air Restaurant with Liq License seating 40-50, Boat Ramp and docking and storage and Gas . Some of the best Local Fish entrees for Dining and Take out. Property also boasts 3 yr round cottages (3 Bed/2 Bed/1 Bed) which the Seller has rented out on yearly basis. 2 Bed updated owners residence. These owners have all the staff in place to make this business operate top notch and have operated for over 30 years. Want to have your own campground business? You want to be your own Boss.You enjoy working with people. You want to work your own hours. You want an opportunity to spend winters in a warm climate or just chill and do want you want to do. Owning a Resort, Campground, Trailer Park or Recreational Tourist Business in Ontario may be your Answer as they are one of the few remaining businesses that may provide you that niche. I want to personally thank You for visiting my web site, as You are most likely here looking for a Recreational Business whether it be a Resort, Campground, Trailer Park, Marina, Hotel/Motel or just a change of Lifestyle and Hopefully I may be able to assist. If You go to RESORTS FOR SALE and you do not find what you are looking for Please Contact myself by clicking the tab FOR BUYERS and complete the page as the property you may be searching for will be coming available sooner rather than later. I will be happy to assist You in finding that Lifestyle opportunity change wherever your area of investment relocation stems from Quebec at Eastern Ontario, the Georgian Lakelands of Muskoka, Near North, Huronia, or Grey - Bruce, Haliburton, Central Ontario East, Kawartha Lakes or Algoma Kinniwabi, complete our FOR BUYERS.